While the twentieth century’s conflicting visions and exploitation of the Middle East are well documented, the origins of the concept of the Middle East itself have been largely ignored. With Dislocating the Orient, Daniel Foliard tells the story of how the land was brought into being, exploring how maps, knowledge, and blind ignorance all participated in the construction of this imagined region. Foliard vividly illustrates how the British first defined the Middle East as a geopolitical and cartographic region in the nineteenth and early twentieth centuries through their imperial maps. Until then, the region had never been clearly distinguished from “the East” or “the Orient.” In the course of their colonial activities, however, the British began to conceive of the Middle East as a separate and distinct part of the world, with consequences that continue to be felt today. As they reimagined boundaries, the British produced, disputed, and finally dramatically transformed the geography of the area—both culturally and physically—over the course of their colonial era. Using a wide variety of primary texts and historical maps to show how the idea of the Middle East came into being, Dislocating the Orient will interest historians of the Middle East, the British empire, cultural geography, and cartography. 3. Maps for the Masses? "Foliard offers an exhaustive account of British cartographic knowledge of the region before border incisions were made during and immediately after the First World War. This is a rich and valuable contribution to the body of work on Orientalism, and one that reflects the deep-rooted anxiety that lay at the heart of the imperial project. As an account of imperfect knowledge mixed with hubris, it is also devastating proof that fragility of information was not an obstacle to imperialist ambitions." "The great achievement of the first third of Foliard’s book is to describe the various British attempts in the mid-19th century to represent the region visually by means of maps and surveys, and to give an account of the diverse motivations for this. Some were inspired by the biblical or classical past, others by the hope of settlement and economic development. But Foliard’s main point is that there was no system to this, and that it would be wrong-headed to see it in terms of an imperial plan. In particular he shows that the different government departments in London and India had their own quite different reasons for surveying the lands and seas of the region." 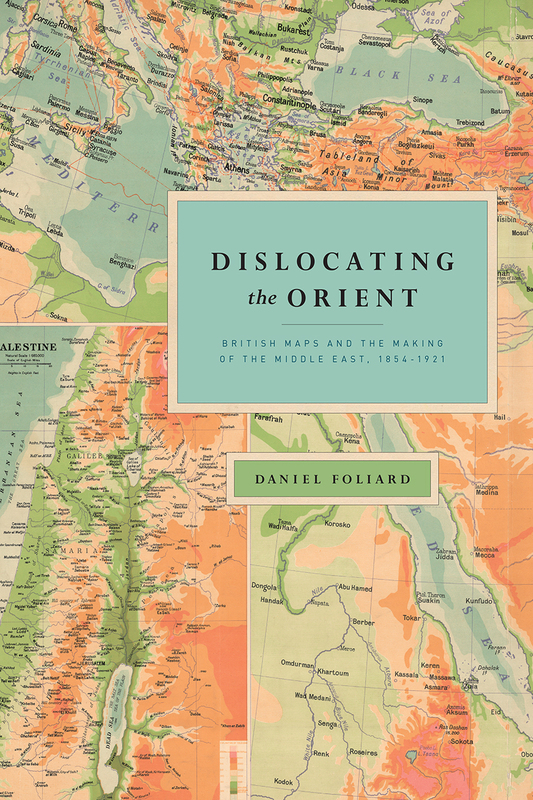 "Foliard has written an exceptional and important book for historians of cartography, scholars of the Middle East and military-studies researchers."